A former university professor now living as a goldfish farmer in a Northern Iranian village, Reza quietly tends to his own affairs alongside his wife Hadis, a principal at a local girls' school, and their young son. After his river-sourced water supply is cut off, Reza's goldfish begin dying. His attempt to reopen his sluice is met with a violent attack by thuggish local Abbas, a strongman for a shadowy organization known as simply "the company." Reza refuses to compensate Abbas for a fake injury, or bribe his way out of mounting legal problems, but he quickly discovers the steep price to be paid for holding on to principles in a system where money trumps morality. 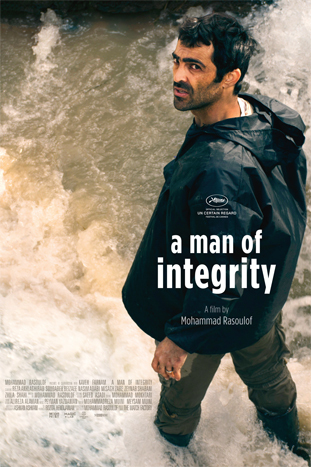 Winner - Un Certain Regard Award at the 2017 Cannes International Film Festival.